Digital and Media Literacy: A Plan of Action The Knight Commission recognized that people need tools, skills and understanding to use information effectively, and that successful participation in the digital age entails two kinds of skills sets: digital literacy and media literacy. In this study, distinguished scholars in the field of news literacy investigate how knowledge and motivations combine to create news-literate teens. Most research shows that when it comes to seeking credible information, young people often fall short. Educators note that students sometimes have a hard time distinguishing between commercially influenced sites and peer-reviewed academic journals, for example. They also see many young people whose patience with the search process can quickly run thin. Can a Democracy Survive without Reliable Information? Alan Miller’s article focuses on the News Literacy Project, a program in the U.S. that gives students the skills to to access the reliability and credibility of news information. The article looks at the factors to consider for the acquisition of digital and media literacy competencies in the U.S.
Debora Cheney offers her insights on the significance of reliable skills for navigation of mass information to students for their studies. She also states that the lack of skills to search mass information can make locating appropriate information difficult, especially for information that is considered essential to fulfill civic duties and long-term learning needs. Professor Patterson discusses refocusing the press on knowledge, media problems and the public interest and the internet, globalization and the media future. A news app or mobile site, for instance, is an isolated experience that emphasizes reading with minimal links or other distractions. Compared with reading on the web at your computer, your options seem smaller. Stephen Shultz looks at the importance of teaching news literacy in high school and middle schools across the nation. A conversation with Esther Wojcicki of Palo Alto (Calif.) High School about serving students and educators by helping them learn these tools instead of blocking or censoring them. A Federal Trade Commission campaign to educate kids ages 8 to 12 about advertising so they can become more discerning consumers of information. The site focuses on helping them recognize and analyze commercial messages and evaluate non-commercial messages, including editorial content and literature. Using lesson plans and materials from this website, teachers help students develop their journalistic skils by giving U.K. 11-14 year-olds the chance to make their own news reports for a real audience. Civic media is defined here as any form of communication that strengthens the social bonds within a community or creates a strong sense of civic engagement among its residents. Civic media goes beyond news gathering and reporting. A collaboration of the MIT Media Lab and Comparative Media Studies. A Malibu, Calif.-based educational organization that provides leadership, public education, professional development and educational resources nationally. Based at Stony Brook University, the center is dedicated to training the next generation of news consumers to think critically about what they read, see and hear. 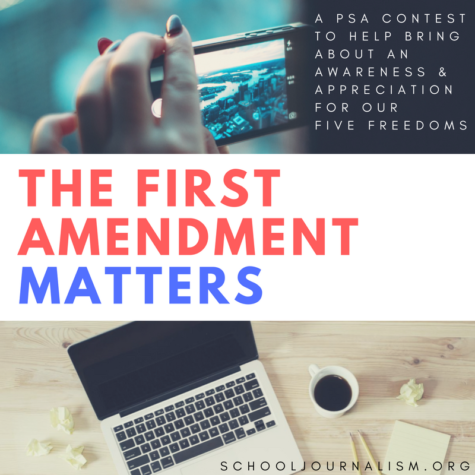 A national clearinghouse at Kent State University provides information on issues affecting scholastic media, educates journalism teachers and advocates for student press freedom and the First Amendment. Activities include research, programming, teaching and advocacy. The Center for Media & Social Impact is an innovation lab and research center that studies, designs, and showcases media for social impact. Focusing on independent, documentary and public media, the Center bridges boundaries between scholars, producers and communication practitioners across media production, media impact, public policy and audience engagement. The Center produces resources for the field and academic research; convenes conferences and events; and works collaboratively to understand and design media that matters. A K-12 curriculum that aims to teach students to be responsible, respectful, and safe digital citizens. A national media watch group, has been offering well-documented criticism of media bias and censorship since 1986. Working to invigorate the First Amendment by advocating for greater diversity in the press and by scrutinizing media practices that marginalize public interest, minority and dissenting viewpoints. Fair.org also exposes neglected news stories and defends working journalists when they are muzzled. Based at Temple University in Philadelphia, the Media Education Lab advances media literacy education through research and community service, emphasizing interdisciplinary scholarship and practice that stands at the intersections of communication, media studies and education. The Nieman Foundation for Journalism at Harvard educates leaders in journalism and elevates the standards of the profession through its internationally recognized fellowship program; Nieman Reports, a quarterly print and online magazine that explores contemporary challenges and opportunities in journalism; the Nieman Journalism Lab, a website that reports on the future of news, innovation and best practices in the digital media age; and Nieman Storyboard, a website that explores the future of nonfiction storytelling. The News Literacy Project website features information about the organization’s services and offers open-access resources to educators and others interested in news literacy. It hosts a digital collection of short news literacy lessons on the its Learn Channel; a blog about topical news literacy learning opportunities called “Teachable Moments,” and outstanding projects created by students participating in NLP’s classroom and after-school programs and workshops. A look into NLP’s various programs. POV, a social issues documentary film series on PBS, offers free resources for use in the classroom, including standards-aligned lesson plans & online film clips, a DVD lending library, discussion guides & reading lists. Poynter’s News University is one of the world’s most innovative online journalism and media training programs. We provide free and inexpensive news literacy courses and resources such as News Sense: The Building Blocks of News, Watching TV News: How to Be a Smarter Viewer and Getting it Right: Accuracy and Verification in the Digital Age. A media literacy initiative of to provide materials, training and support for the effective integration of media literacy with critical thinking into classroom curricula at all education levels. P21 brings together the business, education and policymaker communities to champion and support 21st century learning and readiness for all students. As the United States continues to compete in a global economy that demands innovation, P21 and its members provide tools and resources to help the U.S. education system keep up by fusing the 3Rs (content knowledge) and 4Cs (critical thinking and problem solving, communication, collaboration and creativity and innovation). A global repository of information, resources, and good practices relevant to media literacy education, media education policy and youth media.